David Richardson, State Representative-Elect for District 113 and first openly gay lawmaker elected to Florida Legislature. “I didn’t want anyone to vote for me because I’m gay and I didn’t want anyone to not vote for me because I’m gay. I just wanted people to look at my record and that’s exactly what happened,” said Richardson. David Richardson made history the night of the Primary Election, when he got 33-percent of the vote over three other candidates and became the first openly gay candidate elected to the Florida Legislature. A certified public accountant from Miami Beach, Richardson says what helped his victory was his willingness to go out into the community and get the votes of many different groups of people. And, as a result of his campaign efforts, the 55-year-old says he’s proud the people within his district, not once, questioned him about his sexuality. Now, that there’s no challenger to face him in the general election, Richardson says he’s looking forward to talking about the issues he campaigned on, like education. He says it’s his number one priority, and as a product of the state’s public school and university systems, he’s concerned about the number of cuts Florida’s seen in education within the last few years. Another main concern is making healthcare more accessible to residents, especially since he says he saw the hardship his parents had to go through in the later years of their life. They passed away a few years ago. Richardson says while he does not want to be boxed in as “the gay legislator,” there are still gay issues that are important to him. He says one of the biggest issues he’s like to see changed is one that most people don’t really know about. Richardson received the backing of many gay rights groups, including Equality Florida. That’s the largest gay rights organization in the state, and its Executive Director Nadine Smith says his win is a real game-changer. Richardson may be the only openly gay candidate elected so far, but he’s not the only one running for office. There’s three openly gay Democrats: Ian Whitney of Key West for House District 120, Joe Saunders of Orlando for the House District 49 race, and John Alvarez of Palm Bay in the House District 53 race. All three will face off against republican opponents in the general election in November. 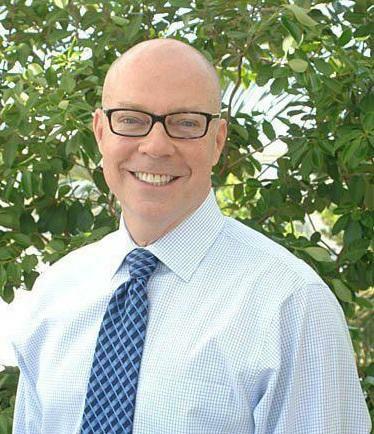 The only openly gay candidate currently running for office as a Republican is Scott Herman of Wilton Manors, who’s in the District 94 race, against House Democratic Leader-designate Perry Thurston. And, Equality Florida’s Nadine Smith says with all these openly gay candidates in the running, there might even be the possibility of forming a caucus to bring all of them together. Even though he could lose to the Gay Republican candidate Scott Herman, House Democratic Leader designate Perry Thurston says he’s glad to have Richardson on board, and believes that Florida electing Florida’s first openly gay member also says something great about the state of Florida. In a statement, House Speaker Designate Will Weatherford says he looks forward to working with the freshman lawmaker as well as the new and returning members this Fall.